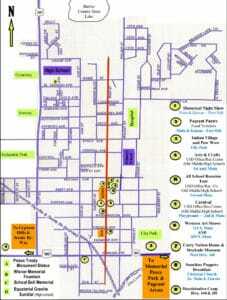 Welcome to the Medicine Lodge Interactive History Tour Map. 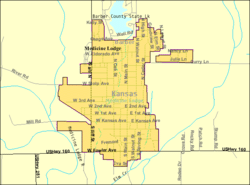 From the link above you can visit the Tour Map for Historic locations located in and around Medicine Lodge, KS. By clicking on locations on the map you can visit information pages about current and Historic buildings and locations in the Medicine Lodge area. This project was made possible through a collaborative work effort between Lincoln Library and Medicine Lodge Junior High Students supervised by Nathan Honas and Eryn Guy. Many of the pictures used on the information pages were supplied by John Nixon.